Ever been in that situation where you’ve said: “If only I had …… “ ? Well then, study the trends! You’ll soon see that there are patterns that repeat themselves. With this in mind, you can plan for a better future. People who want to succeed and be ahead in their game, take advantage of the opportunities that are presented to them, to be better prepared during adverse times. Adopting this strategy for your water needs, will almost always see you through the worst of the difficult times! Let your hindsight prove your foresight, and have the great vision you require! Save your rain water now and you’ll save your bacon later! There can be no denying that the weather is a bit haywire in the world at the moment. Cycles and trends come and go, but, for the foreseeable future, we are here to stay! Farmers, particularly those in the more arid regions, are having enormous success in rain-water harvesting. 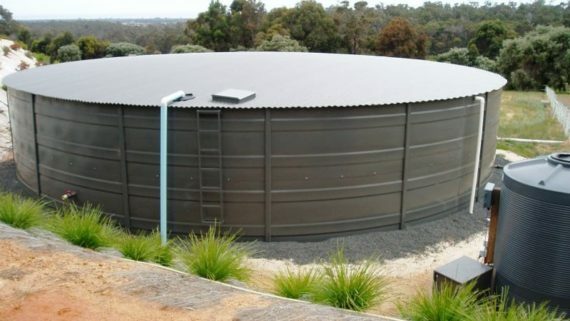 Whether your needs are merely to harness the rain that falls on your roof, or, you are a farmer who needs to enforce more rigorous and intensive measures of rain-water harvesting, Rainbow Water Tanks offer you solutions to all your water storage needs! Assess your water needs and prepare your rain-water harvesting programme prior to the dry season. Your roof is probably the best place to initiate any water harvesting plan. A small house or out-buildings with a roof surface area of 150m² can save you 150ℓ of water for every millimetre of rainfall! Now, if you live in a low rainfall area, with an average rainfall of let’s say, twenty inches per annum, you could save 75 000ℓ of water per annum! * This amount of water saving could put any farmer so much closer to his goal irrigation requirements, during the drier months, it could literally be the difference between your farming operation surviving another year, or not! Partner up with Rainbow Water Tanks today! Together we can make a huge impact on your farming results. We can assess the lay of your land and position your agricultural tank in the best place to take full advantage of all the harvesting methods you need to implement to make a real difference in your farming operations. Remember, because Rainbow tanks are modular, agricultural tanks can be positioned and constructed anywhere on your farm, regardless of the terrain or accessibility. 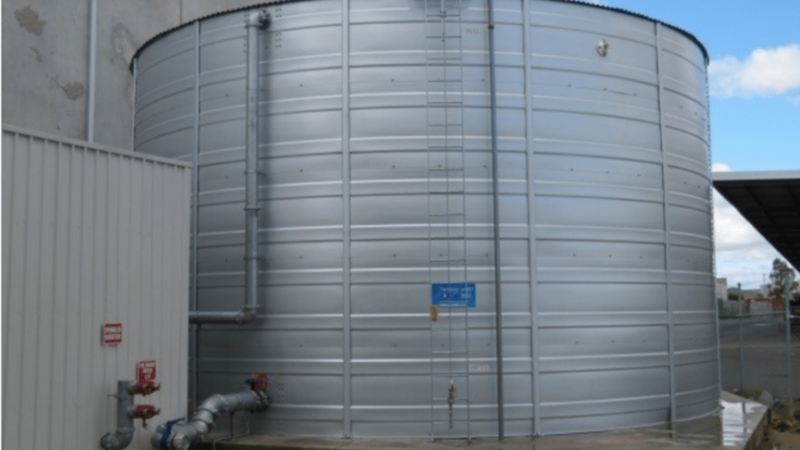 Our agricultural water tanks offer you the best viable solution to your water storage needs! They are practical and economical – a fine combination, to anyone’s standards!